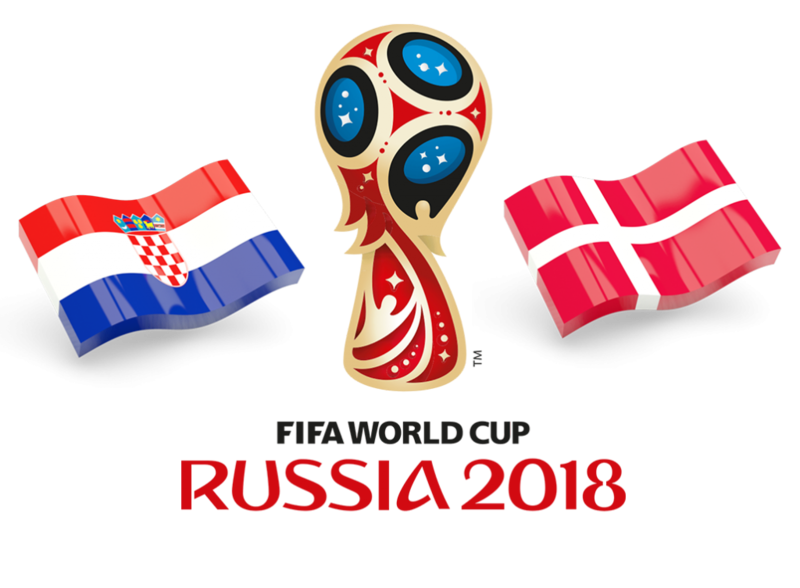 The clash between Croatia and Denmark will be played at the Nizhny Novgorod Stadium in Nizhny Novgorod on July 1st. The Blazers showed their quality and strength in the group stage as they out all the problems in the FA behind and focused on the tournament, and although the Danish Dynamite didn’t disappoint here, they did little to impress, so it would be a surprise to see them in the quarter-finals. Croatia was a joy to watch in the group stage, especially in the game when they dismantled the poor Argentinians, while the Blazers were quite convincing against Nigeria and Iceland as well. The Blazers scored seven goals and allowed just one, and it was a penalty against Iceland, so Dejan Lovren and Domagoj Vida turned out to be a solid pair at the back, while only superlatives can be used to describe the captain Luka Modric and Ivan Rakitic who have the chance to end in the team of the tournament if they continue with excellent displays. On the other hand, Denmark had plenty of luck to beat Peru in the opener, as the Incas missed a bunch of opportunities and even missed a penalty, while the Danish Dynamite was inferior in the second half in a clash with Australia, so they didn’t convince me at all. Christian Eriksen is a wizard in the midfield and can make something out of nothing, but only he is not enough to drive this team forward, and despite playing 0-0 with France in the most boring game at the World Cup, the Round of 16 will likely be the end of the road for Denmark. Luka Modric scored two goals at the World Cup so far, but what’s even more important for Croatia, he doesn’t let anyone run the midfield except him, and although it is also visible at Real Madrid, Modric acts like a real boss in Croatia. The midfield dynamo is usually involved in every attacking play and I believe that’s going to be the case on this one. Christian Eriksen played a part in both Danish goals at the tournament as he has a goal and an assist to his name. His position in Denmark is similar to the one Modric has in Croatia, and although he is a more offensive-minded midfielder, his influence is pretty much at the same level. If someone can make it happen for the Danish Dynamite, it’s Eriksen. Croatia: Subasic; Vrsaljko, Lovren, Vida, Srinic; Rakitic, Brozovic; Rebic, Modric, Perisic; Mandzukic. Denmark: Schmeichel; Dalsgaard, Kjaer, Christensen, Larsen; Delaney, Eriksen, Schone; Sisto, Poulsen, Jorgensen (Cornelius). Croatia’s chances to win the World Cup are now +1100, while the Blazers are +240 to reach the semi-finals. Denmark chances to win the World Cup are now +8000, while the Danish Dynamite is +900 to reach the semi-finals. Croatia is considered a strong favorite here and after everything, they showed us in the group stage, they should go to the quarter-finals, but they have to be aware of Danish strength and calmness as they never panic, even when they are losing. Still, the Blazers have a better team and there is no place for the mistake, so I believe they will get past Denmark.